It was the latest in a recent series of failures for the troubled Russian space program, which is used by the U.S. to carry its astronauts to the station. 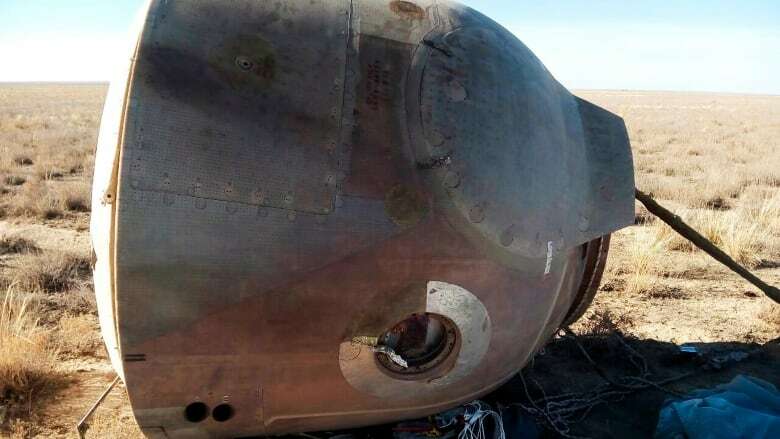 NASA astronaut Nick Hague and Roscosmos' Alexei Ovchinin were subjected to heavy gravitational forces as their capsule automatically jettisoned from the Soyuz booster rocket and fell back to Earth at a sharper-than-normal angle and landed about 20 kilometres east of the city of Dzhezkazgan in Kazakhstan. "Thank God the crew is alive," said Dmitry Peskov, the spokesman for Russian President Vladimir Putin, when it became clear that they had landed safely. He added that the president is receiving regular updates about the situation. NASA administrator Jim Bridenstine, who watched the launch at the Russian-leased Baikonur cosmodrome along with his Russian counterpart, tweeted that Hague and Ovchinin are in good condition. He added that a "thorough investigation into the cause of the incident will be conducted." 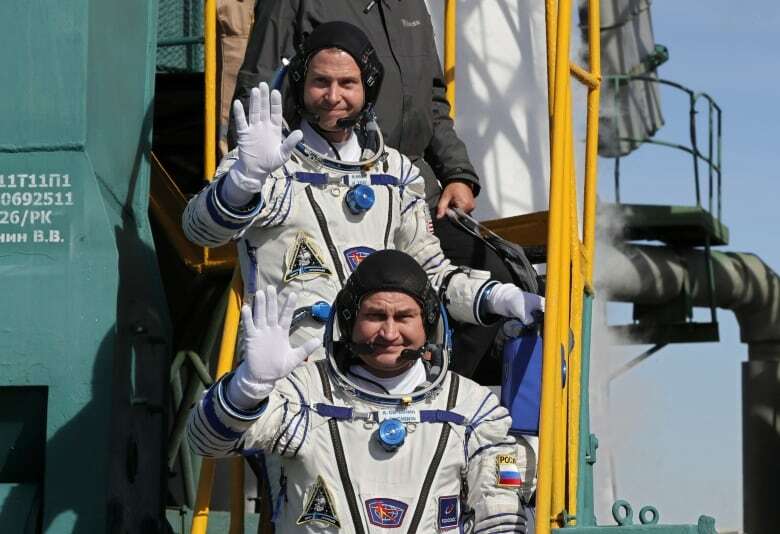 Hague, 43, and Ovchinin, 47, lifted off as scheduled at 2:40 p.m. local time Thursday from Baikonur. The astronauts were to dock at the International Space Station six hours after the launch and join an American, a Russian and a German currently aboard the station. But the three-stage Soyuz booster suffered an unspecified failure of its second stage about two minutes after launching. Search and rescue teams were immediately scrambled to recover the crew, and paratroopers were dropped from a plane to reach the site quickly. While the Russian space program has been dogged by a string of launch failures and other incidents in recent years, Thursday's mishap marked the program's first manned launch failure since September 1983, when a Soyuz exploded on the launch pad. The astronauts were flown by helicopter to Dzhezkazgan and then by plane to Baikonur. 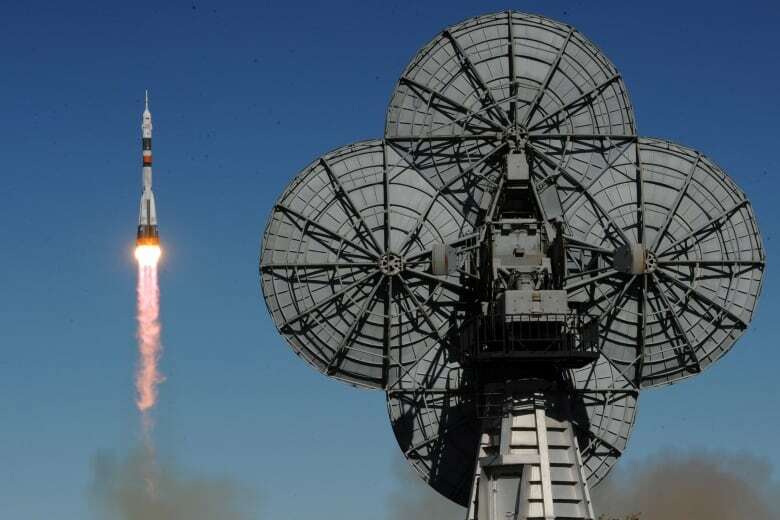 Russian officials said they may spend the night in Baikonur before being flown to Star City, Russia's space training centre outside Moscow, the Tass news agency said. NASA posted pictures of Hague and Ovchinin undergoing a medical checkup at Dzhezkazgan's airport. One of the pictures showed Hague smiling and another had him sitting next to Russia's space agency chief Dmitry Rogozin. Dzhezkazgan is about 450 kilometres northeast of Baikonur, and spacecraft returning from the ISS normally land in that region. "The boys have landed," Mission Control assured the International Space Station crew. Retired NASA astronaut Scott Kelly said while video from inside the Soyuz cockpit showed the spacecraft initially was moving with oscillations that "did not look normal to me," once it opened its parachute, the astronauts would have experienced something "exactly similar to a normal landing." "It was great to see that the emergency system worked as advertised and got them home safely," he added. Russian controllers told the space station astronauts that Hague and Ovchinin endured 6.7 times the force of gravity during their entry. Kelly said that's "higher than what we'd normally see, but not significantly" and the astronauts would have felt much worse had they actually spent some time in the microgravity of space before experiencing it. Canadian astronaut David Saint-Jacques is scheduled to launch aboard a Russian Soyuz spacecraft on Dec. 20 at the Baikonur Cosmodrome in Kazakhstan and remain on the station until June 2019. "He would have been watching the failed launch from a great vantage point," said CBC's Chris Brown, reporting from Moscow. "He was the backup astronaut on this mission, so he was in Baikonur, ready to go just in case there was a problem with this two-man crew." There was no immediate word on whether the current space station crew might need to extend its own six-month mission. Russian Deputy Prime Minister Yuri Borisov said all manned launches will be suspended pending an investigation into the cause of the failure. He added that Russia will fully share all relevant information with the U.S.
Chris Hadfield, who was the last Canadian in space five years ago, said while Hague and Ovchinin are fine, the three crew that are on the space station now have no vehicles that can come and relieve them. "They have no one to come to take their place when it is time for them to come home," he added. "So we've kind of marooned three people in space indefinitely right now, and it will be really difficult to solve that problem in the short term." He predicted it could be many months before officials are "confident enough to risk lives and launch another crew up to the space station on the Soyuz." Relations between Moscow and Washington have sunk to post-Cold War lows over the crisis in Ukraine, the war in Syria and allegations of Russian meddling in the 2016 U.S. presidential vote, but they have maintained co-operation in space research. Russia has continued to rely on Soviet-designed booster rockets for launching commercial satellites, as well as crews and cargo to the International Space Station. While Russian rockets had earned a stellar reputation for their reliability in the past, a string of failed launches in recent years has called into doubt Russia's ability to maintain the same high standards of manufacturing. Glitches found in Russia's Proton and Soyuz rockets in 2016 were traced to manufacturing flaws at the plant in Voronezh. Roscosmos sent more than 70 rocket engines back to production lines to replace faulty components, a move that resulted in a yearlong break in Proton launches and badly dented Russia's niche in the global market for commercial satellite launches. In August, the ISS crew spotted a hole in a Russian Soyuz capsule docked to the orbiting outpost that caused a brief loss of air pressure before being patched. Rogozin, the Roscosmos chief, has raised wide consternation by saying that an air leak spotted at the International Space Station was a drill hole that was made intentionally during manufacturing or in orbit. He didn't say if he suspected any of the current crew of three Americans, two Russians and a German aboard the station of malfeasance.